A lightweight and durable black material case. Each surface is reinforced with plastic lining for extra protection for your miniatures. 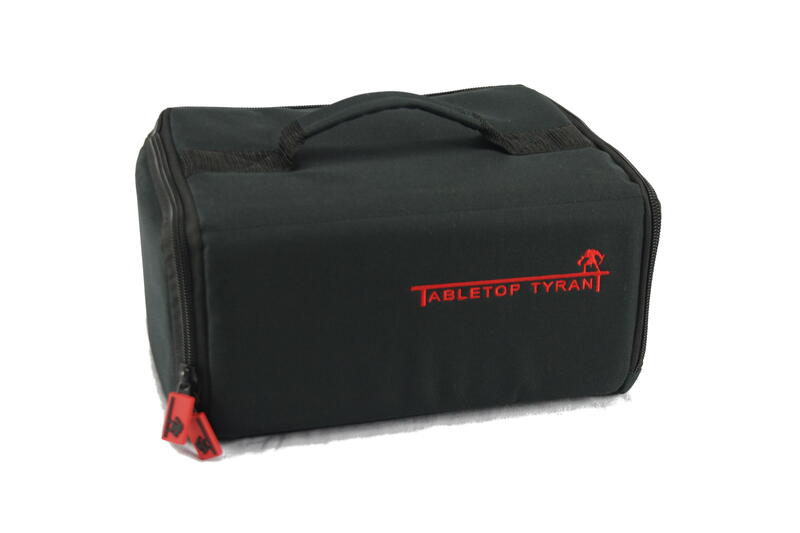 Water resistant and specially designed for our range of half size Tabletop Tyrant trays. 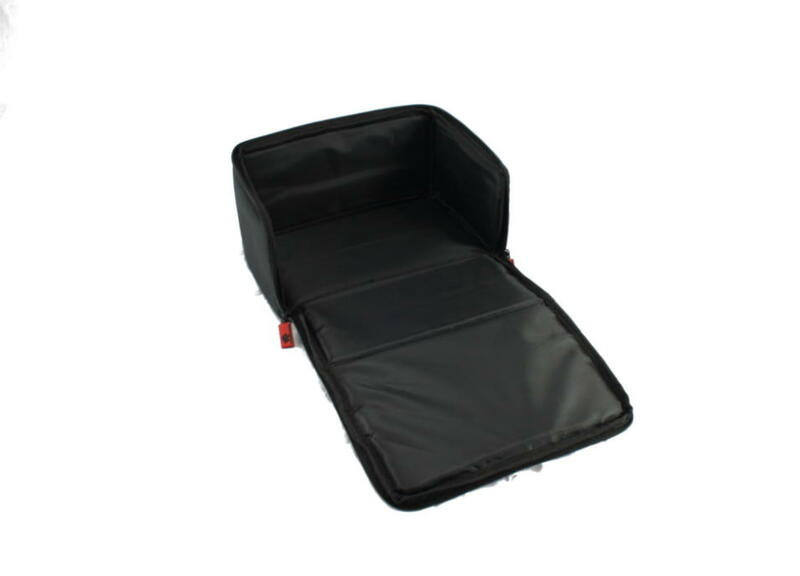 The Skirmisher case is orientated so that the trays stack horizontally for extra protection for your miniatures. As well as the top opening, a side panel also opens out so trays are easier to reach and stack. 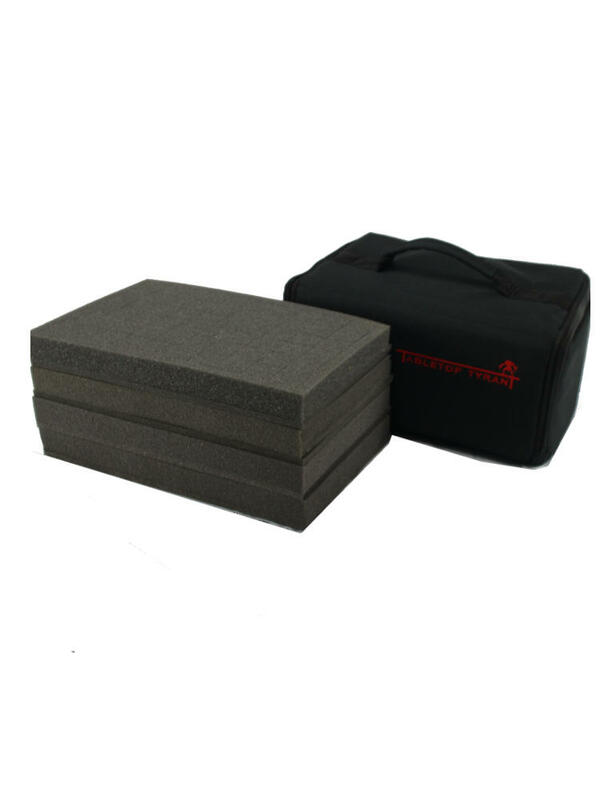 This variant comes with 4 layers of 25mm pick and pluck foam. The "pick and pluck" design guides you for fitting in a variety of models. Dimensions 185 mm x 265mm x 25mm deep. Please note any models shown in the tray are for reference only and not included with the case.